What could be more welcome than a hug from a cuddly pink plush puppy? 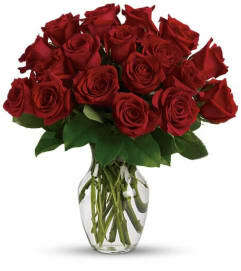 And on top of that, cheerful flowers in a charming red ceramic vase - three wonderful love gifts in one. More than enough to win the heart of any Valentine. 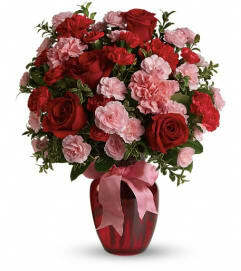 This sweet Valentine bouquet includes red roses, white alstroemeria, pink carnations, red miniature carnations and white daisy spray chrysanthemums accented with assorted greenery. 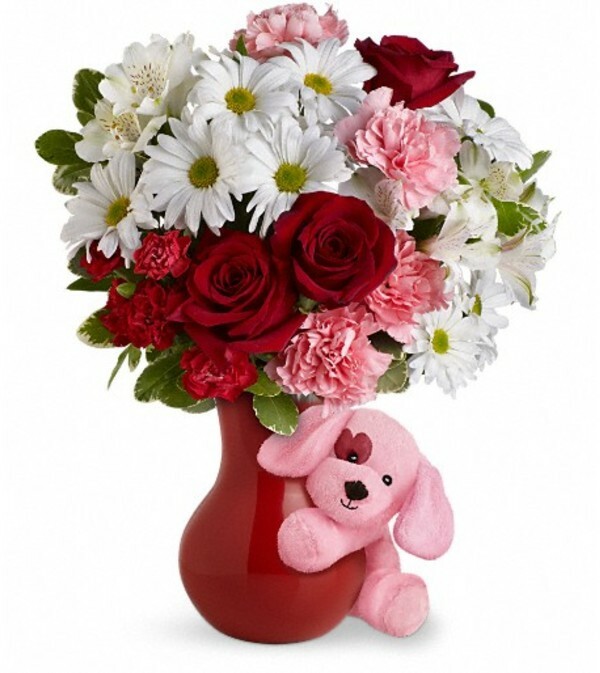 Delivered in a red ceramic vase with an adorable pink plush puppy.